Everyone loves to receive a personal letters or home made Christmas card. Unfortunately, this kind of communication is a dying art. Well, not at Sacred Heart High School! This year almost 200 students from grade 7 and 8 classes spread the joy of Christmas by writing letter and making Christmas cards for their peers in Europe. Over the period of 4 classes, students learned how to write a friendly letter (as many of our students did so for the first time in their life) and to address an envelope. They also enjoyed making unique Christmas cards and writing personal and heartwarming Christmas wishes. Students were very engaged and enjoyed working on this project. Coming to the Learning Commons provided them with an alternate, comfortable workspace. Using colourful pens, stickers and washi tapes allowed them to unleash their creativity and to have some fun. They loved writing out the good copies of their letters on Christmas themed paper. Ms. Daigeler, Ms Ebner, Ms Thompson, Mr. Moss and Mr. DeLuca did a great job ensuring that all the cards and letter were completed on time and ready to be send off to Europe before the post office cut off date. The recipients of those letters and cards are grade 7 to 9 English Immersion Program students from Aranda de Duero in Spain, Poznan in Poland and Berlin in Germany. 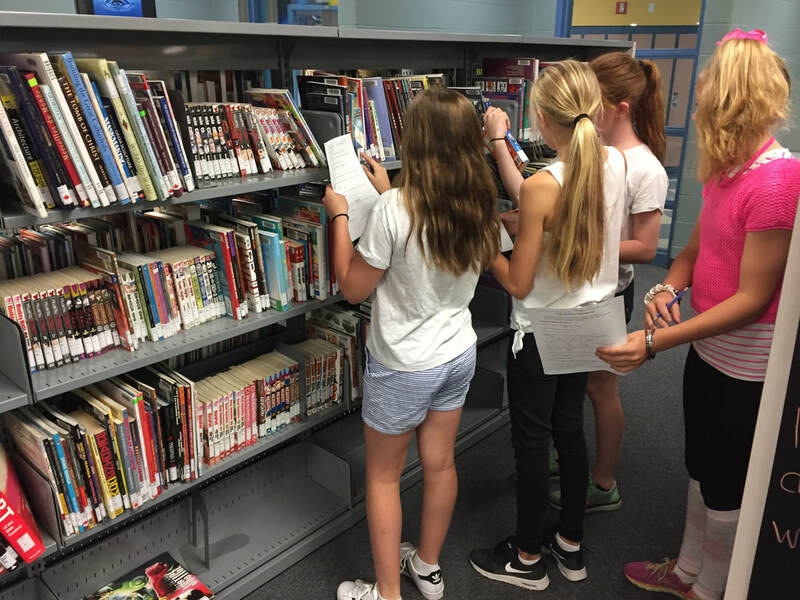 During the months of September and October our grade 7 students attended Learning Commons Orientation. During their 2-period visit, students listened to a presentation about general Learning Commons operations such as LC rules, printing privileges, borrowing privileges, upcoming events, reading clubs and Bullet Journal Club. 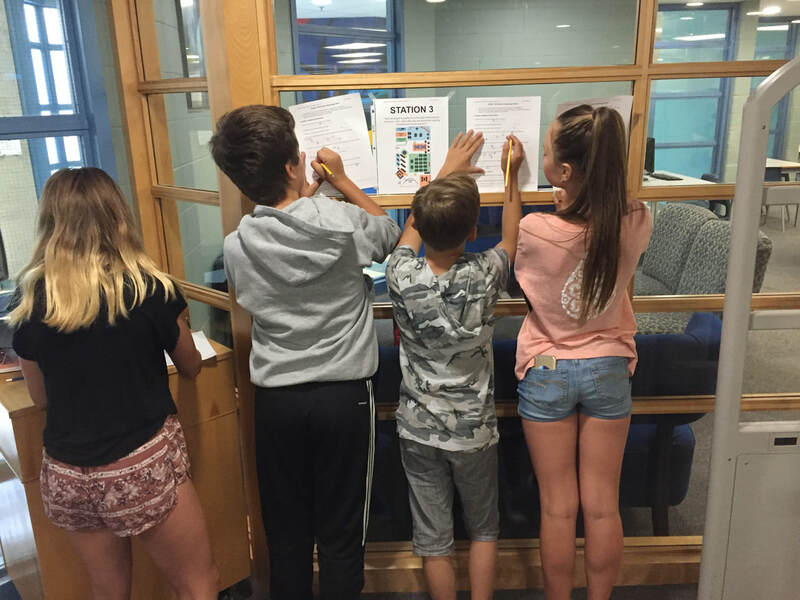 In addition they got to explore the Learning Commons and learn how and where to find resources through a Learning Commons Scavenger Hunt. 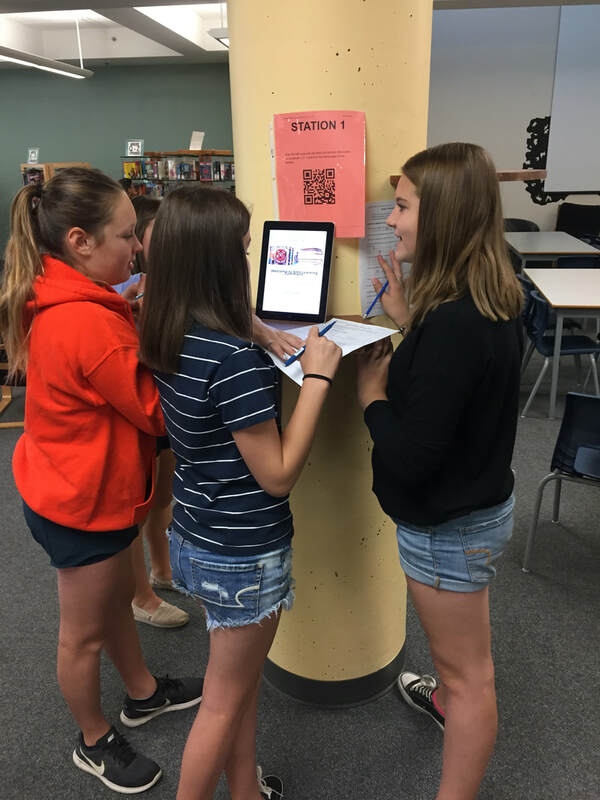 The scavenger hunt included 8 stations where students were asked to answer 25 questions about the Learning Commons. The questions asked students to search our library database, find books and online resources, provide information about clubs and special events, find information on the Learning Commons website, access digital resources available to the students, find books on the shelves, find call numbers for specific books, explain the LC layout and more. Once they answered all of the questions, the students were expected to unscramble a secret message hidden between the answers. The winners were rewarded with a mini chocolate bar! It was a very effective and engaging way for students to explore Sacred Heart Learning Commons and learn where to find what they need. ​We hope to see them here often! On the positive note: these are all amazing books. If you're looking for a book that has been made into a movie recently, you've got to read Wonder or Everything Everything. If you're into graphic novels, then I suggest you check out Ghosts or Invisible Emmie. Looking for some action that includes martial arts? 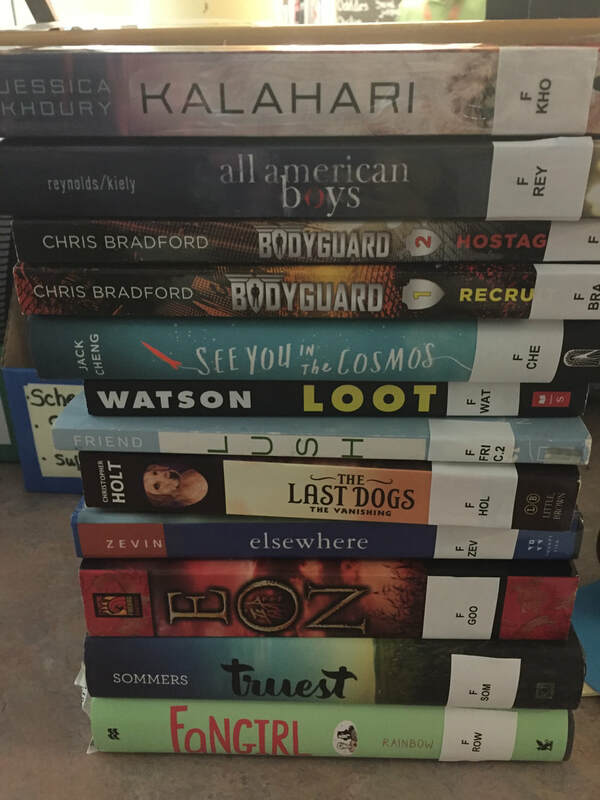 You've got to check out the Bodyguard series or Eon. Want to know what the other books are about? 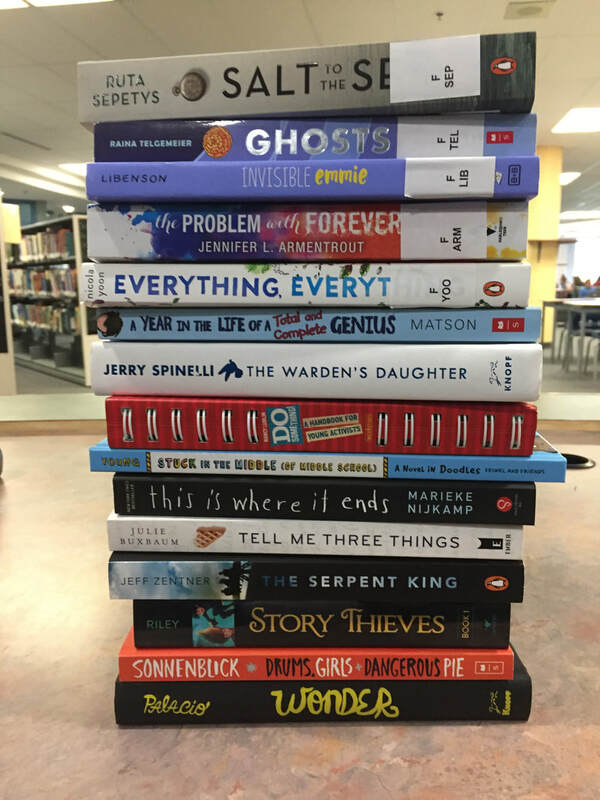 Stop by the Learning Commons and check out these new titles or browse our all time favourites. We've got plenty to offer.